Are You A Digital Rock Star? 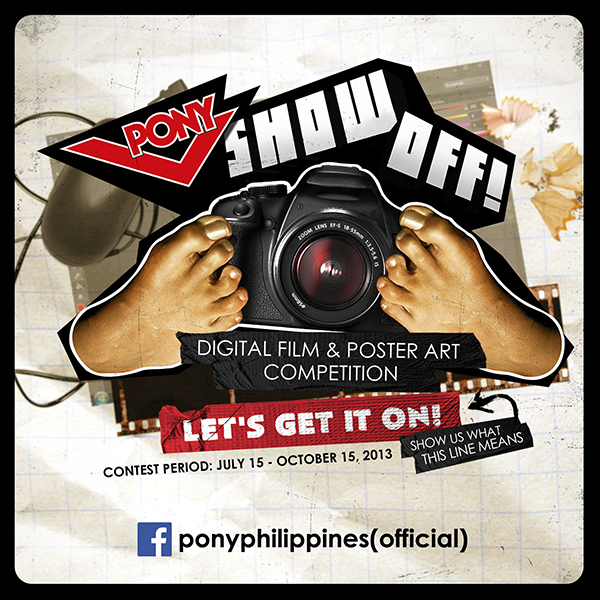 PONY Footwear, the brand that sports and music rock icons have built, is once again on a mission to find the most talented digital design artists and maverick video filmmakers for this year’s PONY SHOW OFF! 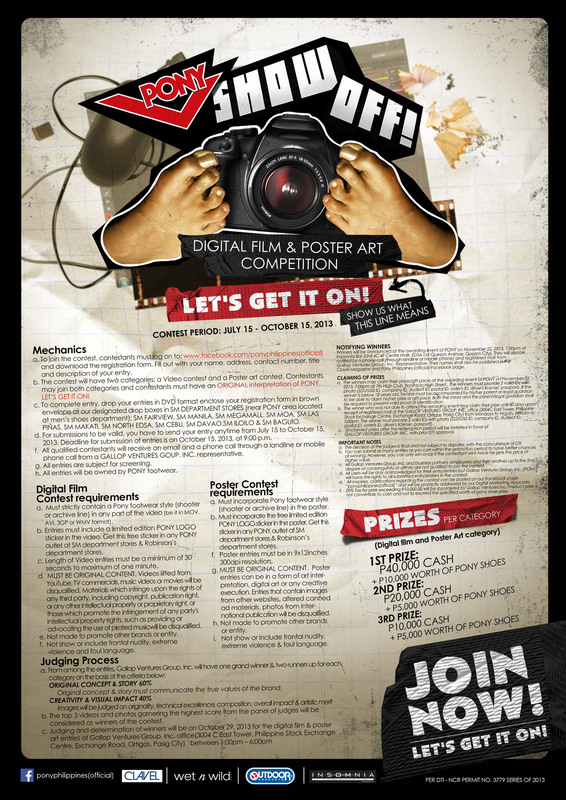 Digital Film and Poster Art Competition. Already on its third year, the ongoing search runs only until October 15, 2013. The first two years already saw amazing cash prizes and awesome Pony shoes given away to the winning designers and filmmakers. So don’t feel left out, this year might just be your time to shine. You could read the FULL mechanics here. Visit Pony Philippines for more details. What are you waiting for? You only have 35 days left! Join now!